SANTA CLARA, Calif., May 30, 2018 /PRNewswire/ -- Atheer Inc., a leader in enterprise augmented reality (AR) solutions, today announced the latest version of the Atheer AR platform during the Augmented World Expo 2018 conference. It introduces secure group collaboration for multiple remote experts across the supply chain to provide live video guidance and support. Also included is a major update to the Atheer AR Workflow Engine to support an increasing range of core business processes such as dynamic warehouse pick lists, contextual task guidance, checklists, link workflows, and surveys. Integrated note-taking is now enabled throughout the platform for seamless process documentation. Atheer's latest AR platform introduces secure group collaboration for multiple remote experts across the supply chain to provide live video guidance and support. For an AR platform to be effective and truly enterprise-ready, it needs to allow workers to bring the right expertise to a problem at the time of need, regardless of where that knowledge lives across an enterprise's supply chain. This is a critical business competency and a key differentiator for enterprises who excel and grow rapidly. With the addition of multi-point collaboration and group calling, a user can now securely bring in multiple remote experts to troubleshoot problems over live video. This is of huge benefit in situations where multiple suppliers from the customer's supply chain are responsible for different elements of a complex piece of equipment or process and provides the enterprise with the power to drastically reduce the time and cost needed to arrive at a solution. Industries that stand to benefit from this capability include aerospace maintenance, repair and operations (MRO), manufacturing, automotive, construction, consumer packaged goods, and any business that provides field or dealer service. 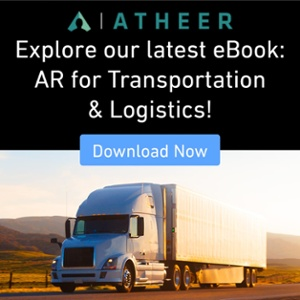 In addition to the new collaboration capabilities, Atheer continues to extend its AR Workflow Engine to support a growing number of core business processes including dynamic 'pick lists' for enterprises who have warehouse and logistics operations. Atheer's dynamic 'pick lists' feature allows enterprises to connect to their Warehouse Management System (WMS) or other ERP systems and present a real time 'pick list' directly into a warehouse worker's field of vision - reducing error rates, increasing efficiency and providing better ergonomics. In this latest release, Atheer also announced support for in-line note taking (photo, video, voice recording and automatic transcription) across all business processes. This allows an organization to maintain a real time record of the work being done across the enterprise for optimization, training, and compliance purposes. "We are committed to providing customers with the collaboration capabilities they need to be more effective, as well as helping them solve the tough business problem of optimizing their core processes based on context and history," said Atheer Founder and CTO Soulaiman Itani. 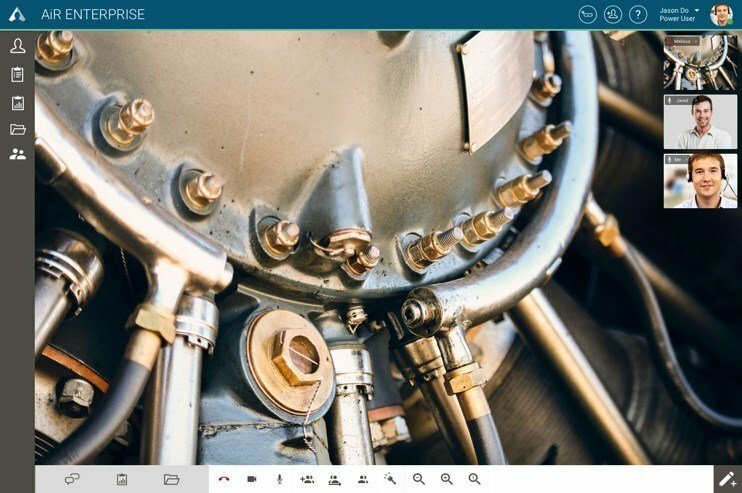 "The latest version of our enterprise AR platform helps our customers bring the expertise they need instantly to the mobile, AR-enabled devices they use." To see Atheer's AR platform in action, visit Booth 813 at AWE 2018 during AWE on May 31st and June 1st at the Santa Clara Convention Center. Powered by 56 issued patents - and validated with key customers including Masimo and Porsche Cars North America - the Atheer platform provides an out-of-box solution for enterprises. It is one of the most hardware-agnostic Augmented Reality platforms available for the industrial enterprise, with announced support for solutions using Windows 10 (on the new Toshiba dynaEdge™ AR Smart Glasses), Microsoft HoloLens, a range of Android-based smart glasses and head-mounted devices (including those offered by ODG, Epson, Vuzix, RealWear), Samsung's popular S2 tablets, the Safari browser on Apple iPhones and iPads and all future devices based on the Flex AR reference design (announced in January 2018 at the Consumer Electronics Show).